6 October, RAC: The protests by asylum seekers and refugees on Nauru that began on Thursday 25 August are continuing, and have now spread to the single men’s camp, OPC 2. The daily protests inside the family camp show no sign of slowing down. Every evening, between 300 and 500 asylum seekers gather to protest against proposed Australian government policy that would see them left doubly discriminated against and facing a life sentence on Nauru. Around 90 asylum seekers, mostly Burmese, Bangladeshi and Iranian, have been on hunger strike for the last three days (ie since Saturday 4 October). Hundreds are maintaining a 24 hour protest and vigil at the gates of OPC 2. Yesterday, Sunday 5 October, around 60 of those found to be refugees held another demonstration in front of the Save the Children offices. 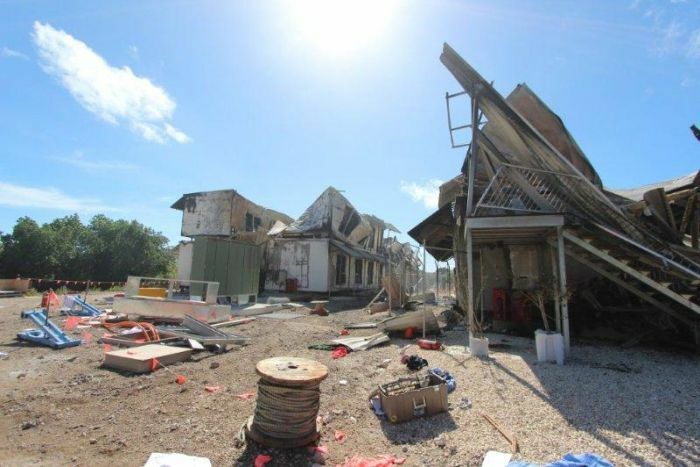 26 August: Nauru’s Director of Public Prosecutions has dropped its case against 10 asylum seekers charged with staging a riot at the centre in 2012, that caused more than $A25,000 damage. The asylum seekers were charged with rioting after an incident at the Australian-run processing and detention centre on Nauru last September. Two Australian-based lawyers, Simon Kenny and Sam Norton, had been providing representation free of charge for five of the defendants. Mr Kenny said he believed the case collapsed after witnesses were cross-examined. “We took the view…that the evidence that had been led from witnesses was not looking like it was going to support the case against our clients”, he said. July 23: Nauru’s resident magistrate says the asylum seekers being held over a mass riot at the country’s detention centre have not yet been charged because their identity papers were destroyed by fire. 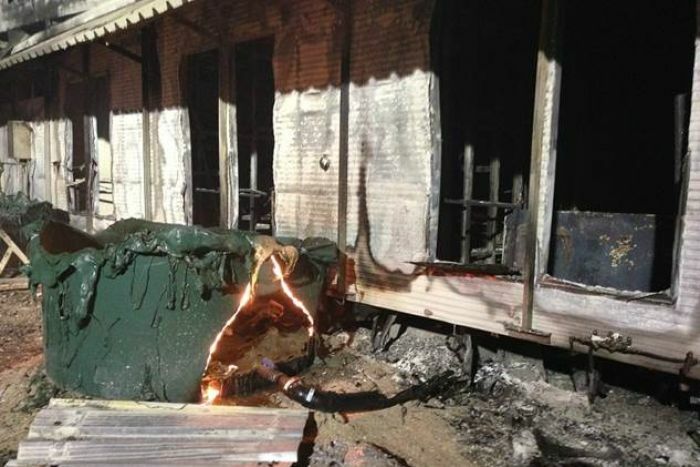 Most of the Australian-run centre was burnt to the ground on Friday night, at an estimated cost of $60 million. Magistrate Peter Law says 152 asylum seekers have been been detained and will start facing court tomorrow. He says he has given police more time to prepare charges because it has been difficult to establish the identity of those involved. “I understand their identity papers were destroyed during the course of the fire,” he said. The riot began on Friday as a peaceful protest over the slow processing of claims. 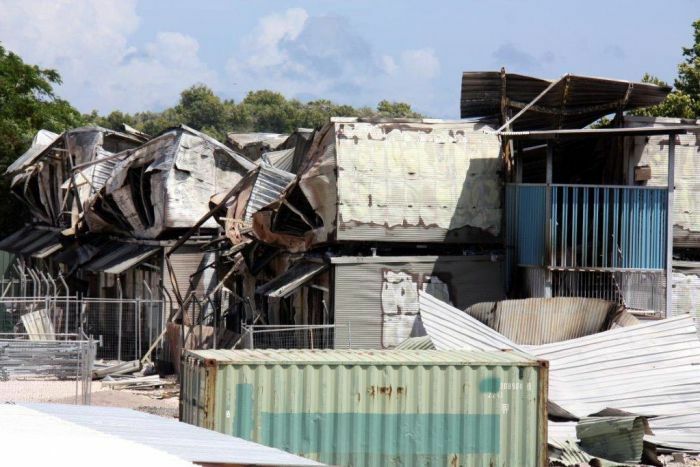 July 21: About 125 people who sought asylum in Australia were in police custody on the Pacific island nation of Nauru after a riot ended with fire destroying most of the Australian-run detention centre there, an official said on Sunday. The blaze on Friday evening destroyed all the accommodation blocks, medical facilities and offices and caused damage worth an estimated A$60m, the immigration department said. Only the dining and recreation buildings survived. A spokeswoman for the Nauruan government said police were stood down at 5am on Saturday. She said only 10 asylum seekers had not had any involvement in the riots. 20 February: On Monday, three people escaped from the detention centre on Nauru. They were were later found by police and returned to detention. Refugee advocates say four detainees at the Nauru detention centre have resorted to stitching their lips together in protest. The Refugee Action Coalition says more than a dozen detainees have joined a hunger strike, with four asylum seekers stitching their lips together. The escapees and those on hunger strike are from among the most recent group of arrivals on Nauru, from Iran. February 4: A group of Iranian asylum seekers charged with causing tens of thousands of dollars damage to an immigration detention facility in Nauru have had their bail extended.